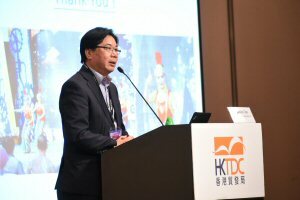 The high attendance at the first four Hong Kong Trade Development Council (HKTDC) fairs of 2019 shows buyers worldwide remain bullish on business prospects, despite concerns over the trade dispute between Mainland China and the United States. The HKTDC Hong Kong Toys & Games Fair, HKTDC Hong Kong Baby Products Fair and Hong Kong International Stationery Fair all concluded on 10 Jan after featuring nearly 3,000 global exhibitors. 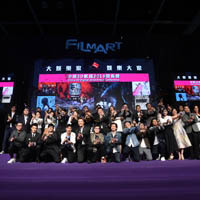 Together with the HKTDC Hong Kong International Licensing Show, which closed on 9 Jan with over 400 exhibitors, the four fairs attracted more than 130,000 buyers, an increase of 3.3% on last year. 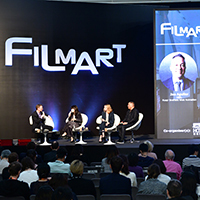 Products incorporating smart technologies drew high demand, including a variety of toys and games incorporating virtual reality (VR) and augmented reality (AR) technologies, as well as those enabled with mobile apps. Educational toys exploring children’s potential were also well received by buyers. A STREAM Toys Product Display – highlighting toys related to science, technology, robotics, engineering, arts and mathematics – showcased the latest product trends and drew a lot of interest from visitors. The latest edition of the Baby Products Fair presented the Baby Tech zone and the newly launched Maternity Products zone, among others. Bang Toys from Brazil, with 20 years of experience sourcing and selling toys, visited the Baby Products Fair for the first time. Its Commercial Director Paulo de Tarso B Hornos said he found suitable products from three Hong Kong and mainland suppliers. “I plan to spend US$500,000 buying a variety of baby products and toys including baby mats, toy telephones and instruments. 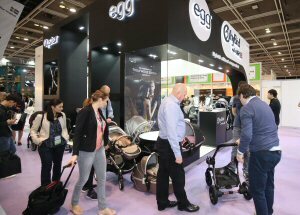 The Hong Kong Baby Products Fair is an excellent sourcing platform where I can find many suppliers and suitable products,” he said. At the concurrent Hong Kong International Stationery Fair, jointly organised with Messe Frankfurt (HK) Ltd, mainland exhibitor Sozen Design, which specialises in designing unique bookmarks, postcards and gift stationery, aimed to expand its Asian market through the event. Dan Shen, Sozen Design’s Project Leader, said they finalised orders with the National Museum of China and a bookshop from Taiwan in the first two days of the fair, which she called “an encouraging result” for the company. 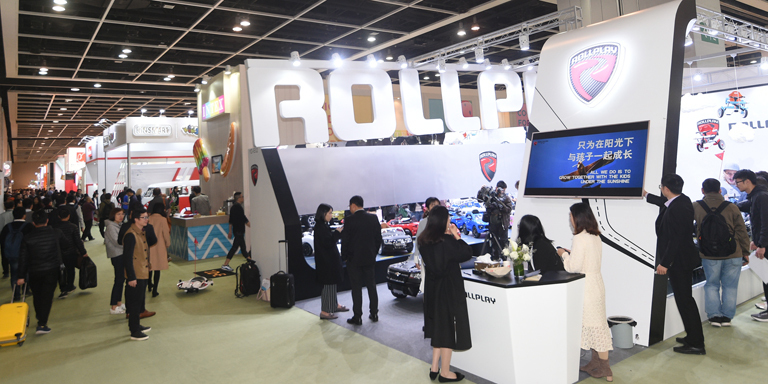 To encourage suppliers to leverage online-to-offline (O2O) promotional opportunities, the HKTDC has enhanced the sourcing function of its trade fair websites by launching the year-round “Exhibition Online” platform. 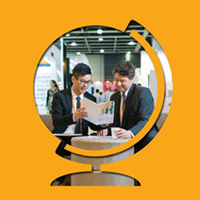 In addition to featuring fair updates and the latest industry sourcing information, the platform allows suppliers to stay connected with global buyers after the fairs, while buyers can easily source industry-specific products from dedicated fair websites. 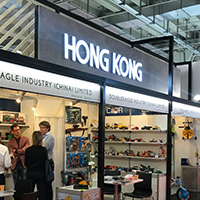 The Hong Kong Toys Industry Conference 2019, which ran on the first day of the Toys & Games Fair, covered a plethora of industry issues, trends and aspirations under the theme “Forging the Bright Future for the Global Toy Industry”. 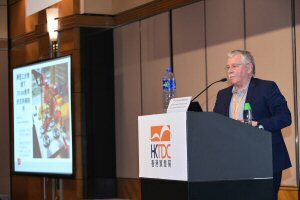 Topics ranged from the mainland’s continued and growing presence in toy production and consumption to caution over tariffs; from the relevance of the Belt and Road Initiative to tech toys for kids and adults; and from intuitive toy ideas to Hong Kong’s intellectual property (IP) role. But the standout issue was free trade. The first conference speaker, Richard Gottlieb, Principal and founder, Global Toy Experts, said the toy industry is based on free trade. “The industry’s ecosystem relies on designers, inventors, manufacturers – as well as public relations firms to talk up the products, and logistics and container shipping to keep the system going,” Mr Gottlieb said. Most of the world’s toys are made in the mainland – with the main “toys complex” being in the south of the country – but he said other countries have been developing toy manufacturing centres, including India, Thailand and Indonesia. Mr Gottlieb said Southern California in the US remains the major creative centre for the toy industry, followed by Japan and the European Union. Hong Kong continues to create opportunities through its IP protection capabilities. He also predicted that the mainland would become the overall largest consumer of toys by 2022, and is now showing the fastest rate of growth, while the top consumer countries currently include the US, Denmark, the United Kingdom, Germany, France, Brazil and Japan. 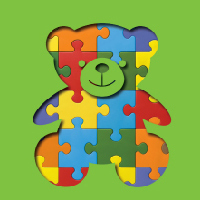 The global toy industry should take a unified position in the face of tariff threats and amplify its position on free trade and safety standards, said Mr Gottlieb, suggesting a global congress should be held for the toy industry. As major international toy centres, Hong Kong and Nuremburg in Germany were “great” possible venues for such a congress to be held. 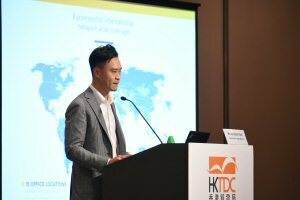 Louis Chan, HKTDC Assistant Principal Economist (Global Research), said the toy industry needed to be cautious despite signs of positive developments in the Sino-US trade dispute, as the mainland represents 81.5% of global suppliers. The toy industry is currently not targeted by sweeping new tariff barriers, but it was “not impossible” for the industry to be affected. To cope with possible US tariffs, Mr Chan mentioned the possibility of products being put forward for being “specifically excluded” from tariffs, with 984 such requests having been approved by the US very recently [https://hkmb.hktdc.com/en/1X0AG53I/heads-up/Products-Win-US-Tariff-Exemption]. Also, strategies such as setting up e-commerce operations, considering the reclassification of products, and applying for a rule to lower the price of a product related to value were all legitimate ways of avoiding tariff charges. So, too, was the prospect of using a US-recognised foreign trade zone or bonded warehouse to defer duties, while toymakers could also consider alternative manufacturing bases and explore new market opportunities. Mr Chan mentioned Poland, Chile, the Czech Republic, Vietnam and India as among the countries where good opportunities were emerging, and indeed where local companies were already looking for new suppliers. Hong Kong was also expanding on the number of free trade agreements such as those recently concluded with the Association of Southeast Asian Nations and Georgia. Dominic Tam, CEO of Combine Will International Holdings Limited, said Indonesia was among the “hottest” locations for relocating production. His company decided to launch there on the island of Java, home to most of the Indonesian population and only a five-hour flight from Hong Kong. Advantages of relocating were competitive minimum wages and savings in the costs of water and electricity, while workers came from local districts which saved on meal and dormitory expenses. Mr Tam said investment among Belt and Road countries continued to improve. Jonathan York, Senior Analyst, Euromonitor International, explored Technology trends in the toy industry up to 2022. He showed how video games were outgrowing the traditional toys and games sector. 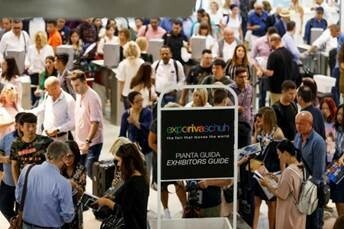 The Asia-Pacific region was the fastest growing (and leading) region for retail sales in compound annual growth rate (CAGR) terms, but the Middle East and Africa showed strong growth potential, Mr York said, adding that the mainland is expected to overtake the US in market size in the 2018-2022 period, including for tech-based toys. Mobile penetration rates are rising rapidly across the globe and by 2022 more than 80% of households worldwide will possess at least one smartphone, while the penetration rate for the mobile internet will approach 100% in the run up to 2022, said Mr York. Children are picking up smartphones at home and are looking for more sophisticated ways to interact online, he said. In 2018, 37.3 million Google Home and Amazon Echo products were sold globally, a 45% rise from 2017, with Asia expected to follow this trend. Mainland-based companies Alibaba, JD.com and Xiaomi are all gearing up for smart living concepts, according to Mr York. Future households will be smaller but wealthier, with consumers more willing to spend on toys for their children as well themselves. Smart devices such as phones and tablets are becoming more commonplace in households while children are being introduced to technology at an earlier age, with greater access to media content. Mr York said the digitalisation of toys, smarter consumers and toys, and “mixed reality” capabilities are all hallmarks of the future toy industry. Taking a very different approach, a selection of everyday items – a water bottle, a cork, a straw and chopsticks – was used to demonstrate how to create experiences of excitement and adventure for children by the final speaker at the conference, Professor Doctor Hartmut Wedekind, Professor of Early Childhood Education at the ASH Berlin and Scientific Director of the Learning and Research Center for Children, HELLEUM. Mr Wedekind said experiences such as climbing a rope helped give children a sense of adventure and promoted a child’s desire to create art, including paintings and drawings. The objective of the toys and games industry was to engage children to be active, so that materials may be used in the creative process. He said that children learned, particularly in an educational environment, by playing, exploring and “being amazed” – and toy companies should be encouraged to create toys that were completely new, where children can explore materials step by step. With that message, he finished by unveiling a workable toy fashioned from the raw materials he showed earlier to the audience.